"Loved the whole experience of collecting my car." The new Peugeot Expert utility van offers a whole host of features thanks to its new platform. The robustness of the new Peugeot Expert van are evident in its distinctive design. This is a van that has been designed to make your working life easier. With three different lengths available, including a brand new Compact version that’s only 4.6m in length, you are sure to find the van to suit your needs. 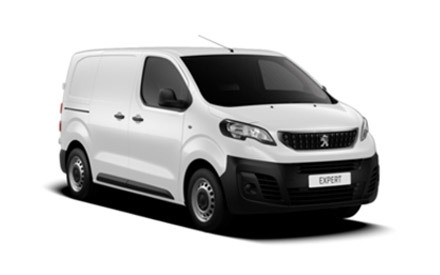 The Peugeot Expert van is available in a range of different models: panel van, platform cab, crew van and Combi with up to nine seats - to more closely match the needs of today's professionals. Enquire at Peugeot Warrington Motors today.